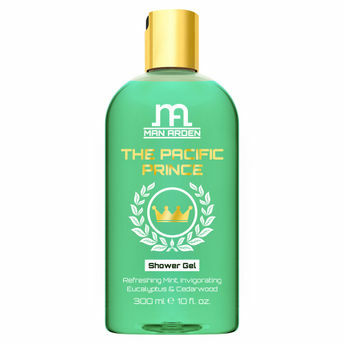 Man Arden The Pacific Prince Luxury Shower Gel gives you an uplifting bath and body wash blended with refreshing mint, invigorating eucalyptus and cedar wood. Experience the scent of an Australian woodland with this gently cleansing yet potently scented shower gel, perfect for a warm relaxing bath time soak. Offers the quality you deserve, the fragrance you crave. No harmful chemicals. Free From Paraben, Mineral Oils. Soap Free. Made Using Pure Essential Oils. Extra Fresh Body Wash cleansing gel rinses off easily and features a fresh, clean scent. Explore the entire range of Shower Gels & Body Wash available on Nykaa. Shop more Man Arden products here.You can browse through the complete world of Man Arden Shower Gels & Body Wash .